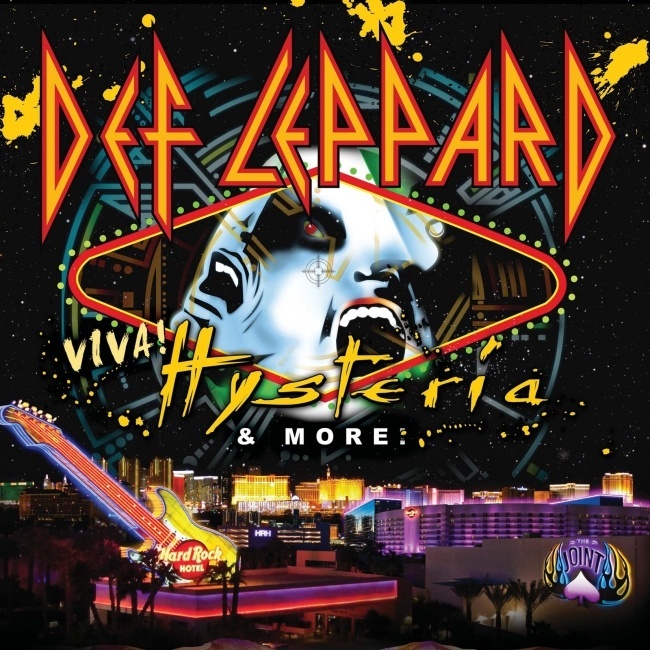 Def Leppard guitarist Phil Collen has been interviewed by The Nervous Breakdown and said the band initially intended to play the Pyromania and High 'n' Dry albums in Las Vegas. Phil says after getting what would become known as the VIVA Hysteria! residency in place the band told promoters they were going to learn the full Pyromania and High 'n' Dry albums. In turn the promoters asked them to play all of Hysteria resulting in the Elvis inspired name for the 2013 shows. Phil also talked about rehearsing some of the rarely played album tracks with Rick and Vivian in Los Angeles. In the rest of the interview Phil talks about health and fitness, the music industry, song writing with C. J. Vanston/Mutt Lange, Manraze, Def Leppard's 2013 plans and working with Mutt on Hysteria. "Funny enough, it was the promoters. (After locking in the residency,) we said, "Oh, we're going to re-learn Pyromania and learn High and Dry…" But the promoter said, "We want Hysteria. We want you to come and play Hysteria in Vegas." We thought, "OK, fine," because we were trying to figure out what we wanted it to be and we were trying to split (the setlist) up, but they were very adamant, saying "Everybody wants to hear Hysteria. That's the one." "Well, we've yet to find this out. It's not until next March and April. Me, Rick and Vivian rehearsed some of the songs up in L.A. a couple weeks ago and it was fairly shocking, because a lot of the songs we do, like Love Bites and Pour Some Sugar on Me… Seven songs we actually do already, but it's the four that we don't. I was listening and trying to sing while playing the guitar at the same time, and it's like, "Whoa.." But it's great. It was actually really cool."